If you have a fish, or are thinking of becoming the proud owner of a fish (or even a school of fish), then you may be wondering if you should get a filter for your aquarium. The short and definitive answer is yes! What is the Purpose of Aquarium Filters? A filter basically cleans the water of debris, removes the toxic buildup of ammonia and nitrates, and aerates the water so your fish can breathe. Which, unless you want an aquarium full of dead fish (or one filled with plastic fish), is a very good thing. Sure, with very simple tanks, you can remove the fish, clean the tank, replace the water, then return the fish. But really, why bother with that on a weekly basis? Removing the fish is traumatizing, especially for the fish (although you may freak out a little bit if it tries to squirm away). And no one wants to have neurotic fish, it simply isn’t right. Also, a filter means you don’t have to do all that work every week. And tropical fish? Well, their need for saltwater, which is kept at an exact temperature, makes cleaning the tank yourself an impractical option. So there’s no denying filters make your life easier. And anything cuts down on household chores is a good thing. Of course, this doesn’t mean you can sit back, relax, and think the filter is going to do all the work. You’re still going to have to maintain the filter and make sure it doesn’t get clogged, because a clogged filter cannot properly do its job. The cleaning method will depend on the type of filter that you have. Consult your user’s manual, or this guide to get started. 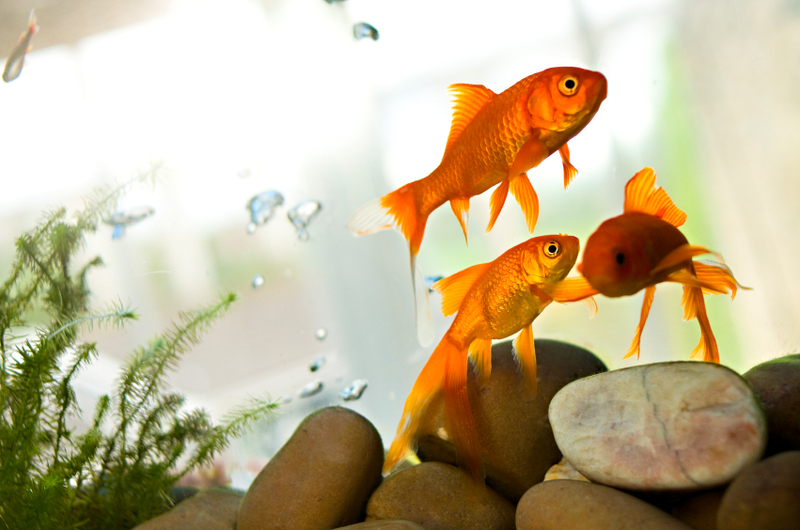 While cleaning the filter and tank are necessary, fish are still great, low-maitenance pets, especially for kids. If your children have been begging you for a Nemo of their own, be sure to do some research on which fish are suitable pets for kids. There are lots of different filters available. From external to internal filters, there are chemical, mechanical, and even biological ones (where you grow cool colonies of good bacteria that help clean the water). The one you choose should ultimately be based on the needs of your fish and your personal preference. But please, whatever you do, get a filter for your aquarium. Your fish will love you for it.